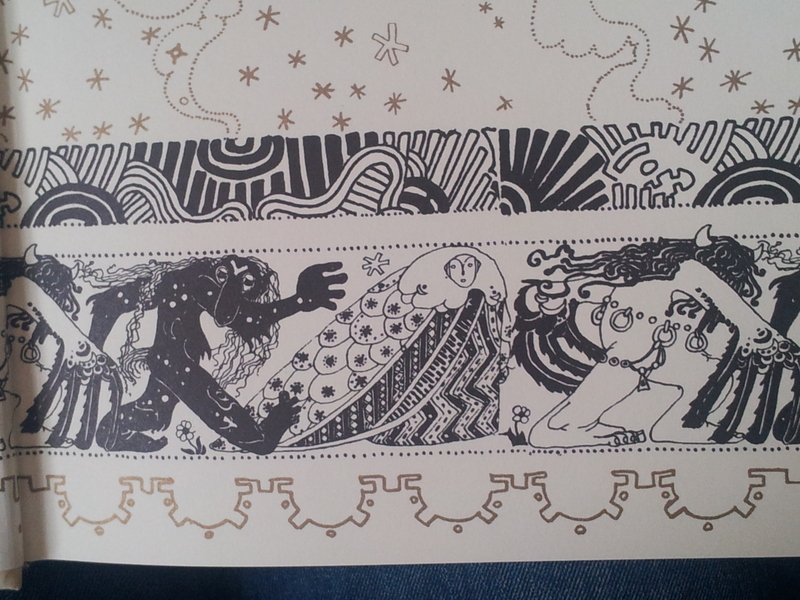 First off, let me start by saying it’s hard for me to put into words how much I love this book, and Kay Nielsen’s work. I have aways had a big fascination for all the great polytheistic mythological traditions, but Norse mythology has, for me, a particular strange and other-worldliness. 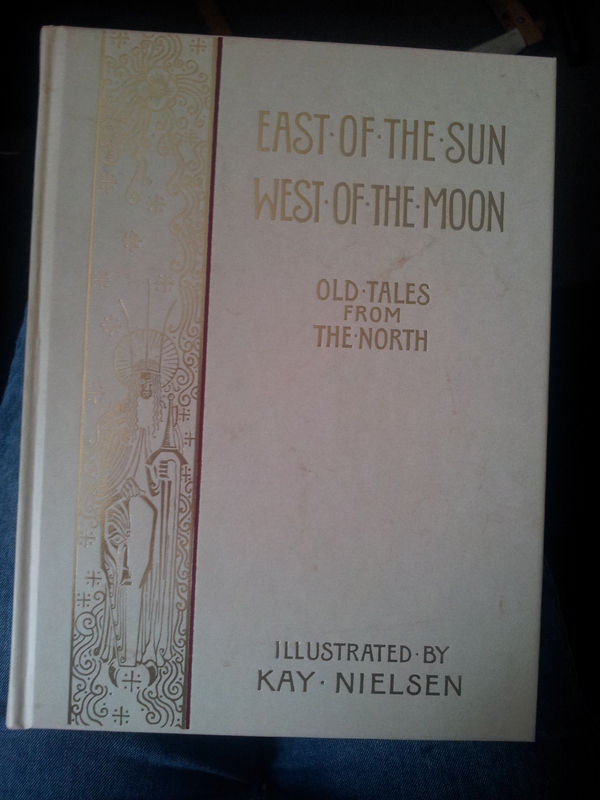 The fact that this particular volume of Old Tales from the North is illustrated by Nielsen makes it especially precious to me. To that end, even though I have taken photographs of my favorite 8 plates from the book, I have found much better images of some of them online, so I use them here, with links to their sources. Just because, if you don’t know his work, I don’t want your first introduction to be through my crappy camera-phone snaps. They’re way too brilliant for that. Peter Christen Asbjørnsen and Jørgen Moe’s Norske Folkeeventyr (Norwegian Folk Tales) first appeared during the 1840s. the majority were translated into English by Sir George Dasent and his Popular Tales From the North was published in 1859. 15 of them appear in this 1914 edition illustrated by Nielsen. It is a fabulous book, full of trolls and giants and bewitched talking polar bears. 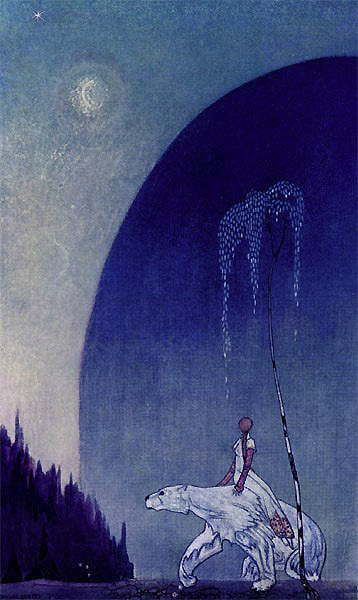 Kay Nielsen was a Danish illustrator, born in Copenhagen in 1886. Born to a theatrical family he had his artistic training in Paris before moving to England in 1911. He illustrated many volumes of children’s fairy tales including the Brothers Grimm, Hans Anderson, and Charles Perrault. In 1939 he went to Hollywood and worked for Disney for 4 years, completing works for Fantasia and concept art for The Little Mermaid that would not be used until 1989. There is a sad end to Nielsen’s life. He returned to Denmark in 1941 after being let go from Disney, but found there was no longer a demand for his work. His final years were spent in poverty. Before his wife’s death a year after his, she gave his remaining illustrations to Frederick Monhoff who in turn tried to place them in museums. However, none – American or Danish – would accept them at the time. In researching this book and Kay Nielsen himself, I find in several websites that he is considered one of a ‘golden triumvirate’ of illustrators along with Arthur Rackham and Edmund Dulac (not that they’re weren’t several other wonderful and celebrated illustrators working at the time too). This is interesting as I find his work very different to the others. One of the reasons is that the colour images for East of the Sun and West of the Moon were reproduced by a 4-colour process, in contrast to many of the illustrations prepared by his contemporaries that characteristically utilised a traditional 3-colour process. But it’s more than just technicalities. I am reminded of Erté and Harry Clarke – the long elegant characters with angular features, the big scale landscapes with these tall inhabitants, the detail in the clothes and fabrics. Very Art Deco, ahead of their time. I think it’s tragic that Kay Nielsen’s popularity diminished in his lifetime, but I hope that there is still a stong love for his beautiful, haunting work amongst his fans now. I’m so happy you enjoy them too! So inspiring! I love all the patterns in the garments- thanks for sharing!